We can only find the ball you loose. 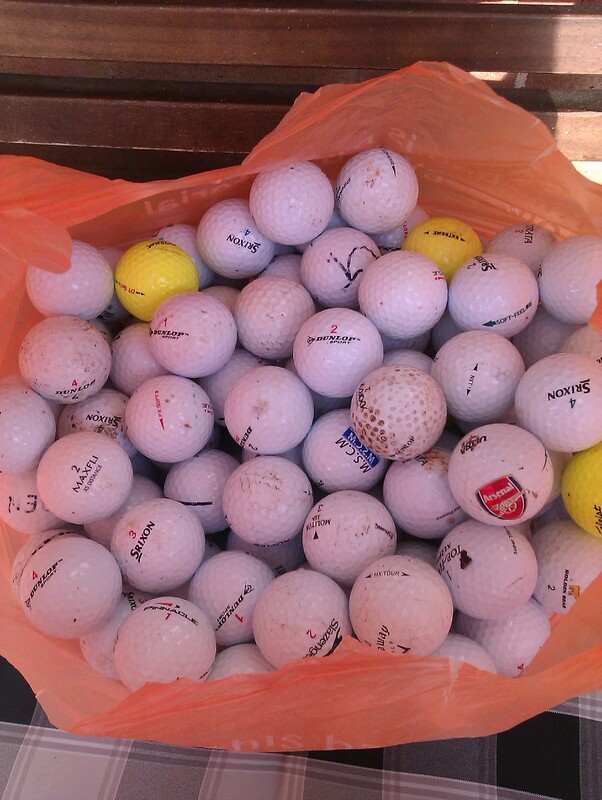 It has been a great weekend once again with huge amounts of top quality golf balls being retrieved from the strangest of places throughout the walkway. First thing in the morning we head through the wood and start the process of search and find, often tilly will bring a ball if she is not interupted by the rabitt or the large amount of squirrels that frequent the area, if that is the case i am on my own and have to get busy all by myself,but when needed to go in the undergrowth of nettles and thorns the dog is there and will always bring out the ball. With the weather being lovely we manage 3 good walks throughout the course of the day so we can hoover anything that has fallen either on the walkway or in the fields, its all about timing and something that works very well for us both. The golf balls we have this weekend are very good indeed and probably some of the best for a long-time these include a lot of 1 hit wonders from Nike,Calloway, Srixon and Titleist. 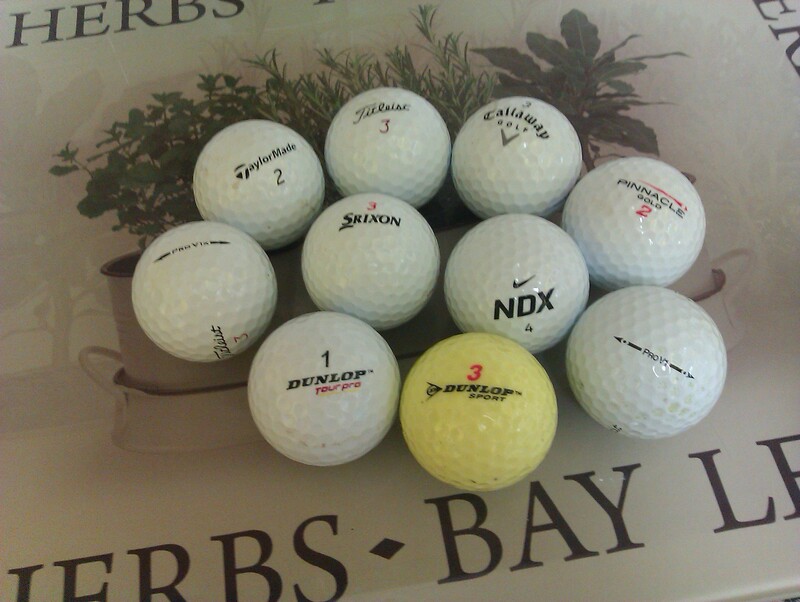 As you can see from the pictures many quality golf balls found and we have not even had to wash them yet….how good are they. Golfers are amazed when they see me and the pooch walking round, we have had people waving and people calling the dog others asking how much for your ProV balls and others asking can you send your dog in to find my ball. for appearance and condition of your own ball please. Machines been filled and lots of golf balls to get sorted and little time left at the moment as i am away early morning to fly to Zurich for a couple of days then home for a day or so then a flight to Denmark to keep me busy. Sat Nav ready to find some new golf courses / Ladies Golf Day. Were heading out on the road just me and faithful partner Tilly-Miss,were looking to get away to the country and do some good walking which will hopefully result in finding a few golf balls on route. Where shall we head to at this moment remains a mystery until i put Google search to work. I am using Tomtom 1000 Live and have quite a few golf courses already keyed in the system,but a change of direction and surroundings are needed just for a few days. Ladies day at my local course used to bring many golf balls of every colour and it was always exciting to get on course and watch them golf balls fly in all directions, but not anymore these ladies are obviously getting a little to good and the days of rewards are gone and we have the proof. Tuesday is ladies day and after scouring the woodland and outer course we really felt embarassed to have to admit to finding 3 golf balls, yes 3 measly balls that included a Top-Flite..Pinnacle…Maxfli, we must have walked over 3 miles during the day searching hard for anything we could find but to no avail the ladies had beaten me and tilly hands down or if you prefer paws down,so congratulations to every single lady who was on course playing there hearts out,each and everyone of you were exceptional especially the lady who i stumbled across in the hedgerow who was pulling up her knickers and trying hard to hide her dignity….dont worry i wont say anymore but it certainly cheered my day. Lots of Yellow balls starting to appear already around the course obviously people getting ready for some winter time golf, we are not seeing many other colours at present but i have a few from previous walks that will now be offered. I am also going to bring out the golf ball in the can for xmas presents,each can with a picture of tilly in various poses which will make a nice gift for the avid golfer, i already have 3 shop outlets wanting to sell them so wait and see how they go. Brought some more machines from Ebay member who seems to have had enough of vending, got them at very good money with wall mounts to secure them so anyone wishing to take tilly-miss in to there pub or office get in touch and a machine can be sent direct. The Golf Ball Thief added to the wall of shame ! 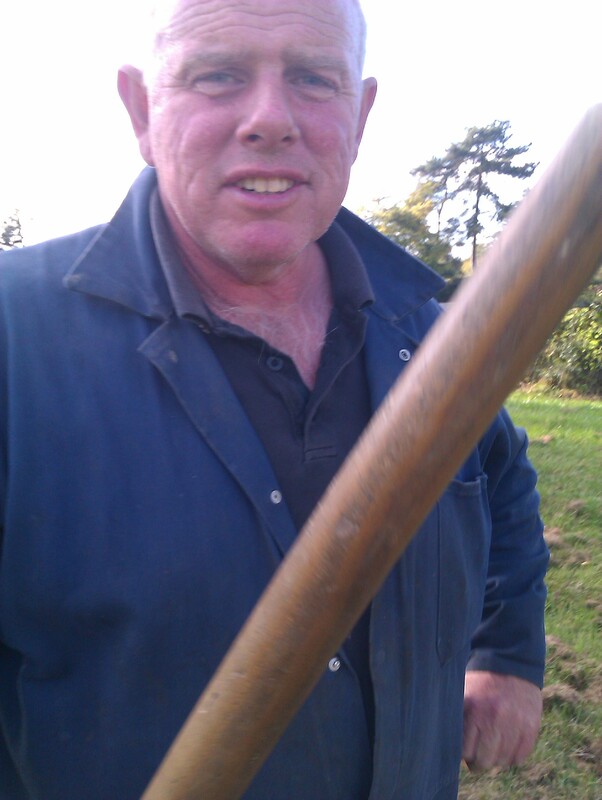 If you are in the Berkshire area be careful of this bloke who has a habit of running on to a course pinching as many golf balls as he can. We caught up with this tyrant after noticing that our fields were not as busy as they should and our woodland walkway was not returning the numbers we have been used to seeing. and reclaim what we all know belonged to us,the trouble was this rather odd man was dressed only in ladies lingerie under the boiler suit. How many should we give away ? Charity asking for golf balls to sell in there outlets, should i provide and if so how many. 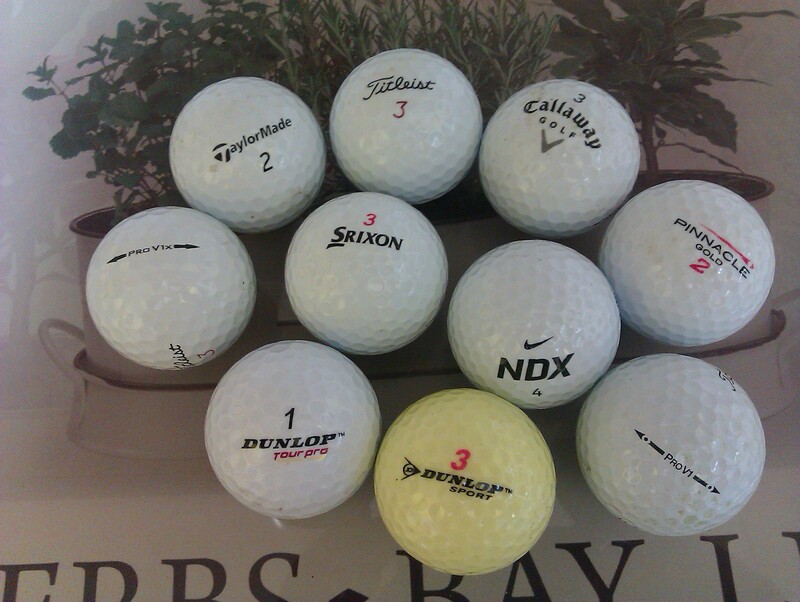 Anyone want cheap Calloway balls we also have lots of Nike..Srixon..Ultra..Top-Flite…Titleist. All washed in good condition. 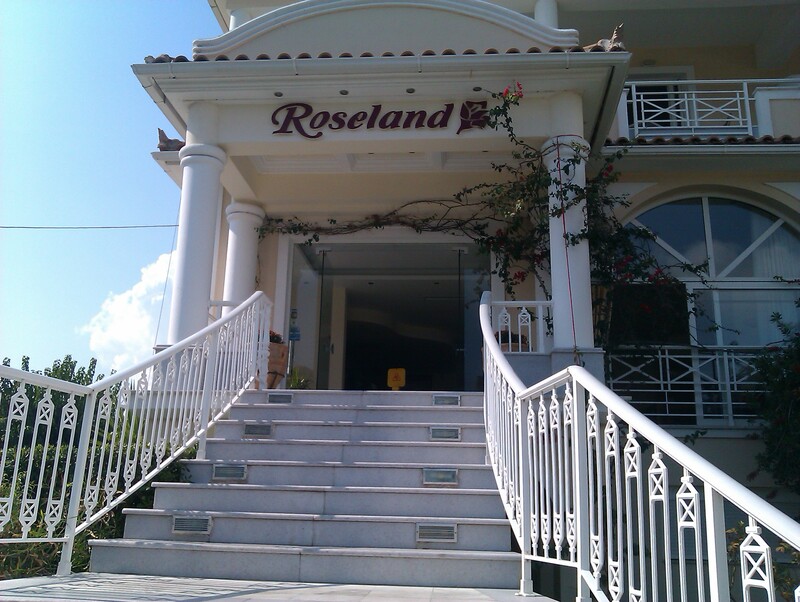 Nice Hotel in Zante Greece that we stayed in. 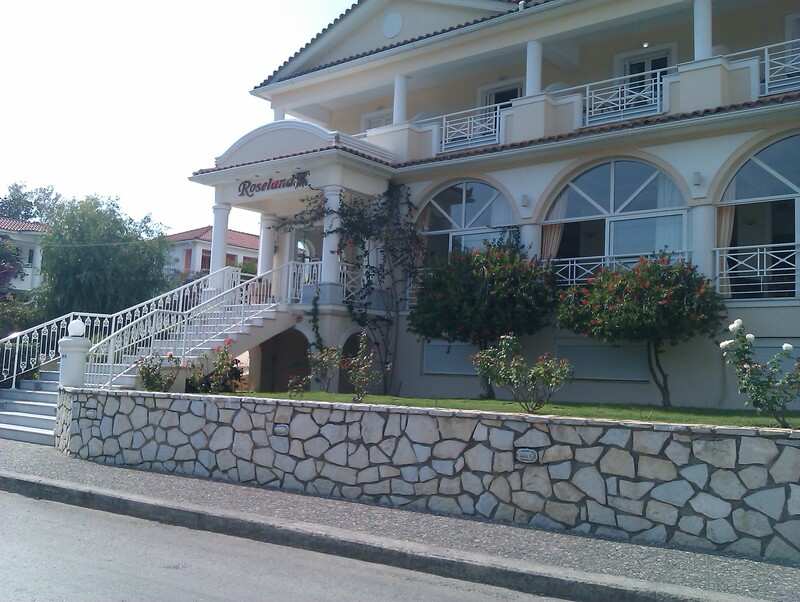 Have a look at this hotel in Zante that we stayed in recently, we met some very lovely people whilst there and enjoyed some very late night drinking sessions that lasted until the very very late hours of the morning. It was a lovely place with lovely people and barman Dennis was an expert mixer of some very mind blowing cocktails. It was a much needed break for myself after some long hours touring through Latvia,Kaunos and Lithuania, I managed to arrive home in time to shower pack another bag then head straight to the airport for my flight to Greece. On arrival in Zante the weather was 29 degrees and boiling it was not long before we both caught a good suntan as we lazed away the days on the beautiful beach which is so close to the hotel. I have been away in Riga,Latvia and Hamburg and have had quite a few enquiries regarding various brand name golf balls including colours, I am grateful to all who contacted me and i will be in touch as soon as i return from Greece. Thank You also for the Emails which will be dealt with on my return and a big thanks to everyone who have asked about tilly-miss who is with family enjoying her own little holiday, had a text today saying she is wearing the family out which made me feel better knowing she is ok.
You are currently browsing the Tilly the Golf Ball Retriever Dog blog archives for October, 2011.